With the zip tie as inspiration, Sarasota, FL-based start-up Ziptek, LLC hopes to revolutionize the soft-tissue repair industry with a novel, self-locking, resorbable suture button for soft-tissue repair designed to facilitate natural tissue regeneration, strengthen the repair, and provide an alternative to knotless anchor devices in the US market for orthopedic soft tissue fixation, which is projected to reach over $1.8B by 2021E. After three years of preparatory work, Ziptek, LLC was founded and incorporated in 2012. ZipTek was self-funded by its owner, William Bennett, MD until 2014 when an investor joined Dr. Bennett offering $500k in exchange for 12.5% equity in Ziptek. Holding patents for knotless anchor devices dating back as far as 1995, the Company was created to realize Dr. Bennett’s belief that there should be a shift in focus for development of knotless rotator cuff (RC) repair devices to one that increased contact areas while maintaining the strength of the repair. With nine US patents, including a method patent, three international patents with more allowed and recent FDA clearance of the ZipE knotless tissue repair device, a resorbable locking suture button, Ziptek is currently looking for $5-10MM in series “A” funding and rapidly moving towards commercialization. Ziptek’s technology in the ZipE tissue repair and attachment device addresses the need for tissue to bone contact across broader surface areas to aide in tissue healing along with load sharing during tissue to bone healing and resorption to allow for proper functioning of remodeled tissue. Following insertion of a titanium or biocomposite (PLDLA/BTCP) screw, an absorbable surgical button (capture) slides along a suture that, by its design, prevents the button from moving back in the opposite direction and secures the tissue. The technology behind the suture button design is similar to a zip tie. The button construct avoids the need to tie knots to secure the repair while offering superior tissue-to-tissue or tissue-to-bone contact. Finally, the distribution of pressure across a larger area leads to a lower risk of suture pulling through damaged tissue. Although the company’s initial focus is on RC repair uses, ZipE is also indicated for use in the elbow, wrist, hand, knee, foot and ankle. Ziptek received FDA 510(k) approval for ZipE knotless tissue repair and attachment device in March 2017. At the start of 3Q17, the company received regulatory approval in the United Arab Emirates (UAE). To date, ZipTek’s clinical results rely on internal testing with comparison to traditional suture anchors. ZipTek reports outperforming simple and mattress configurations in gap formation, rip through, contact surface area and homogenous pressure distribution. The concept is a disruptive technology that employs a zip tie-like locking mechanism on a resorbable button to increase compression area at the site of RC repair. Resorbable implant to allow for tissue regeneration to take over the strength of repair as compared to traditional, non-absorbable suture anchors that potentially prohibit natural tissue movement. Zip tie-like locking mechanism that offers a mechanical locking mechanism for strength of repair rather than a press fit bone anchor with sutures. Bone anchors are available in two materials (titanium and PLDLA/BTCP) and four sizes (4.5mm titanium, 5.0mm titanium, 5.0mm biocomposite and 6.5mm biocomposite plugs). Unique features of system covered by issued US Patents. 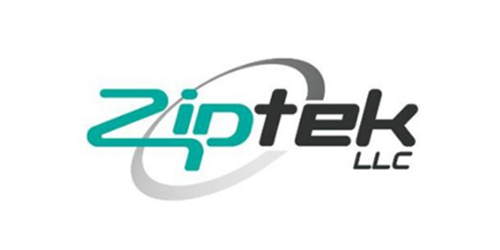 August 2014 – Ziptek receives first new patent related to the evolving ZipE knotless tissue repair device, a locking mechanism within an implant for securing the suture. This mechanism will be added to Ziptek’s second-generation screw. September 2014 – Ziptek receives an additional patent related to the original ZipE surgical button/capture design; this design has been shelved for indications different from the original 21 IFUs allowed by FDA. April 2016 – New patent received for ZipE surgical button/capture design with continuation. Within 2017, Ziptek received notice of allowance for four patents related to its ZipE resorbable knotless tissue repair system, including the method for use. The company has over nine US. and three international issued patents, with many pending approval. March 2017 – New patent received for ZipE method of using a surgical button/capture with a suture that has protuberances with driver. August 2017 – Three new patents awarded: ZipE screw utility, allowing shuttling of suture through the screw after placement in bone; also ZipE screw design awarded, and ZipE driver design to move the surgical button/capture over the protuberances. International patents have been issued in Columbia, Mexico and Singapore; EU patent is allowed. All issued US patents from 2017 are filed for in 35 other countries. Issued US Patents 6013083, 6206886 B1,6491714 B1, 8845686 B2,8814904 B2,9307979, and 9700305, plus 337220 in Mexico, 11201507297Q in Singapore and 15091431 in Columbia covering key features and methods for the ZipE knotless tissue repair system. In Q117, ZipTek received FDA 510(k) clearance to market the ZipE knotless tissue repair and attachment device. Furthermore, ZipTek has signed agreements to be on the prime vendor list for the Department of Defense, NATO and US Special Operations. further biocompatibility testing with each new design. Commercialization of device in the US and internationally. Possible exit strategy – sale of device to a larger orthopedic company based on success and proof-of-concept. Effective marketing to convert surgeons’ current technique to ZipE technology. Building a distribution network for commercialization of the product. Product marketing and sales force targeting for product adoption in the market. Valuation of engineering, prototype development, biomechanical testing and degradation testing are just a few benefits coming to Ziptek LLC from Ziptek Mexico Sa De CV, of which ZipTek, LLC is a spin-off. Dr. Bennett is the principal of this Hermosillo, Sonora Mexico-based company with partner, Ramses Galaz, PhD. To date, early funding may exceed $2MM from non-investor, non-founder funding sources, funded solely by Mexican government grants. 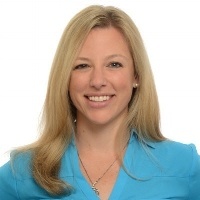 An estimated $700K of personal funds were used to fuel Ziptek LLC’s birth and evolution through 2012 from Dr. Bennett, who currently holds 81.5% equity in the Company. In 2014, angel equity of $500K was invested in exchange for 12.5% equity.